This login is only for COLLECTORS partners to access the private area. A proper source separation is the first step towards high recycling performances. To enhance the involvement of inhabitants in waste collection, public authorities have to set a comprehensive system that provides clear information, convenient collection equipment, and relevant incentives promoting sustainable behaviours. 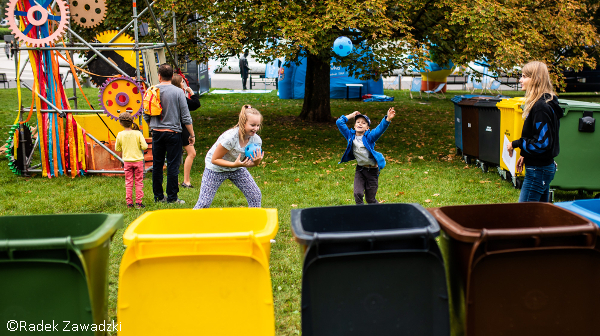 To discuss the topic of societal acceptance and public participation in waste management, the COLLECTORS project invites you to an international conference, co-organised and hosted by the City of Warsaw, on 26 June 2019 in Warsaw. During half a day, local waste players, representatives of different European public authorities, and COLLECTORS partners will share their experiences and solutions to improve citizens’ awareness and participation. The agenda will be soon updated with the names of the speakers. Organisers reserve the right to bring some changes to the agenda. Selective collection in multi-family building. How to reach the inhabitants to increase recycling rates? Several public authorities, identified as good practices by the COLLECTORS project, will present their waste management system for paper and packaging waste, and WEEE. Opportunities and challenges for the development of a network of reuse centres in cities. Cooperation with the non-profit sector and social economy organisations.